Labasa women’s soccer team has qualified for the Champion versus Champion (CVC) after defeating Savusavu 5-0 in their third match at Sangam Primary grounds on Monday. Team coach Roneel Ram said playing in the CVC was their main focus. “Despite losing to Ba in the finals for the last two years, I’m in high hopes that my team will win it this time. “The girls have sacrificed a lot and it was all rewarded yesterday,” he said. He said that their side had displayed excellent football with the mid-fielders showing exceptional control of the game. 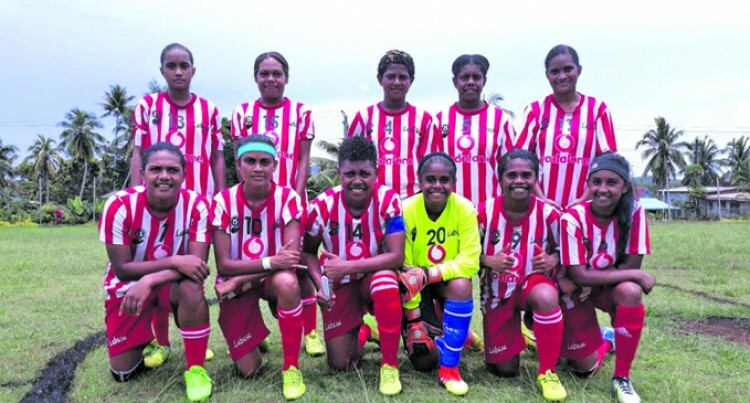 Goal scorer Cynthia Dutt and Shayal Sindhika were players to beat with their mighty skills and the speedy Vitorina Toga was too much for the Savusavu side to handle. “Defenders Anaseini Rebate and Vasemaca Vakavobogi never hesitated to pass the ball to their keeper, Teuila Matakaiwai who was always at hand to begin all the attacks from the back,” he said.